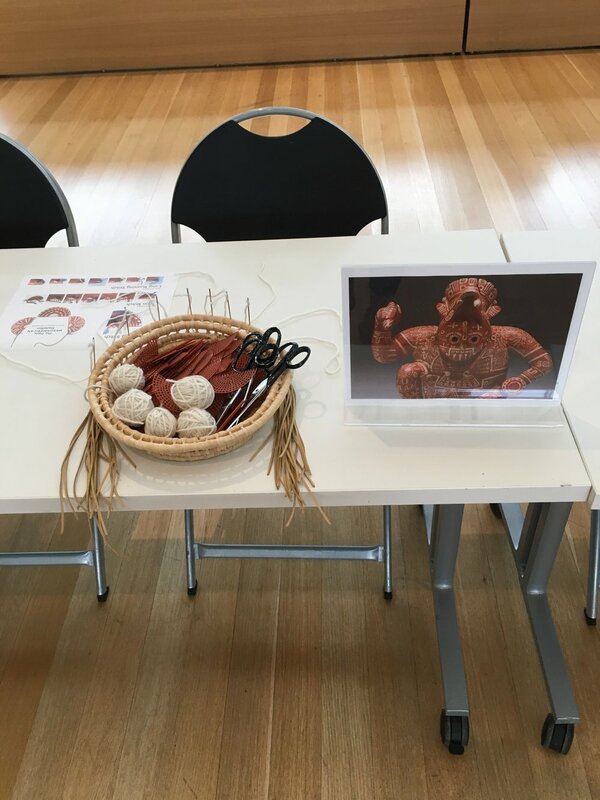 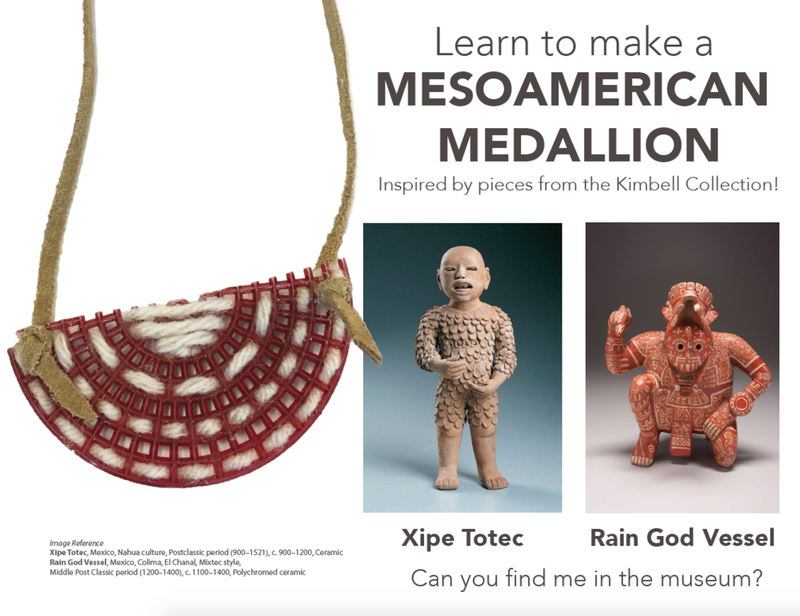 Participants were invited to make a powerful medallion inspired by ancient Mesoamerican art. 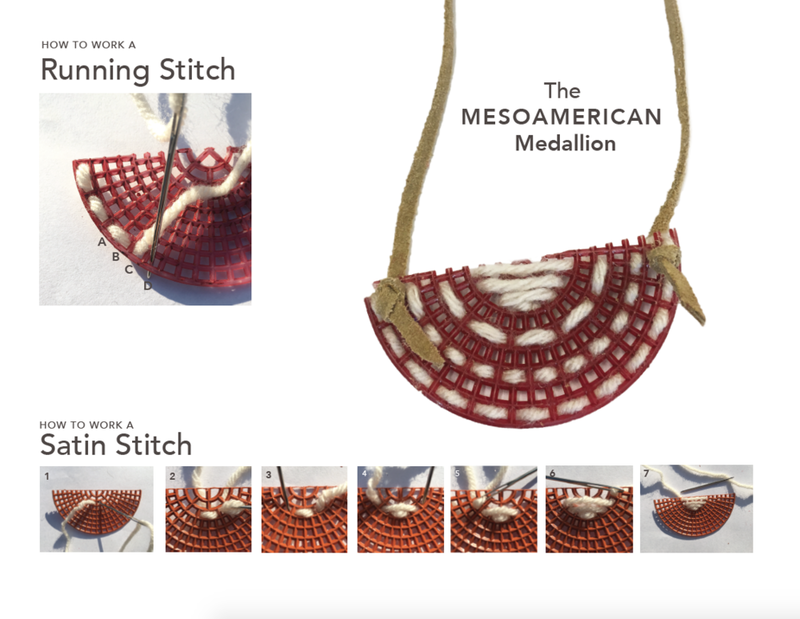 Folks learned to create repeating patterns and decorative motifs using stitching and jewelry construction. 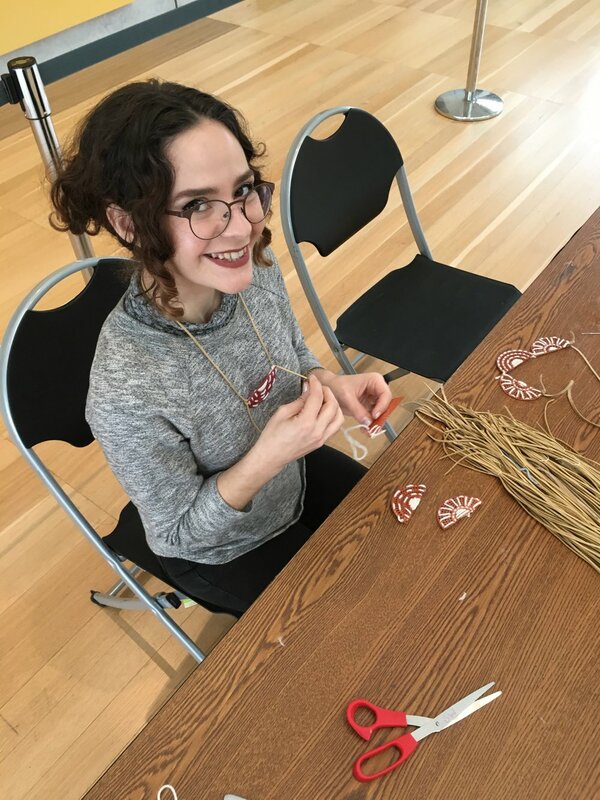 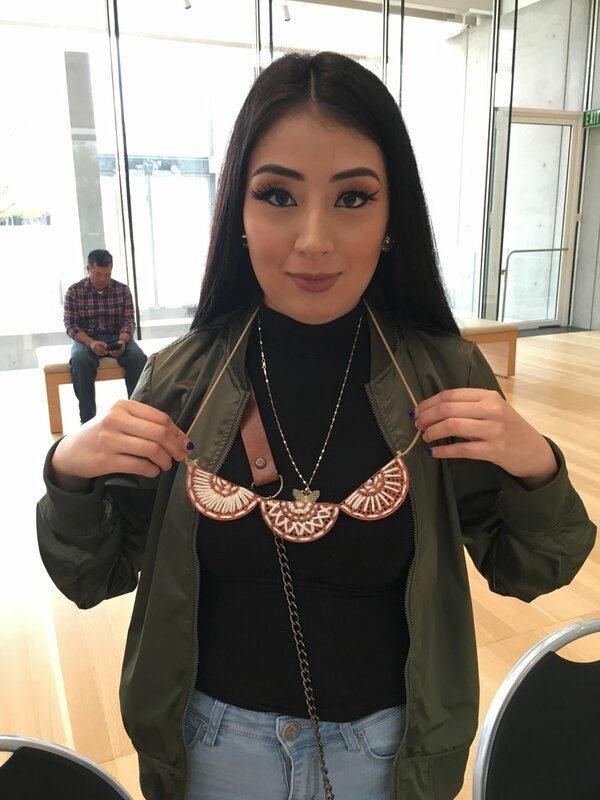 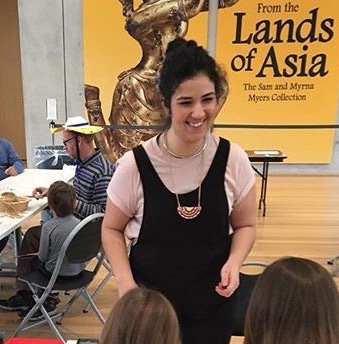 Participants of all ages took home a handmade textile jewelry inspired by the Aztec god of spring and the Mixtec god of rain.